Condemned: Criminal Origins is a horror video game for your Xbox 360 and PC that also blends in some detective game aspects. 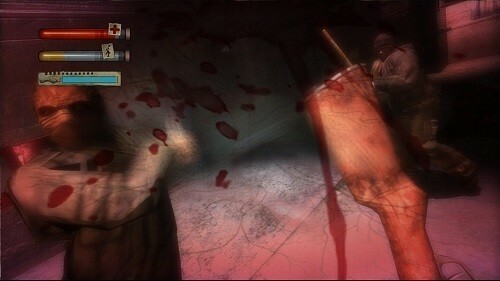 The game delivers a really good horror atmosphere and brought plenty of fresh ideas into a stale genre at the time. The game takes place in a fictional city and puts you in the shoes of Ethan Thomas, a crime scene expert working for the FBI who gets framed for a series of murders. In order to clear your name and capture the real culprit of these crimes you’ll have to adventure around the city visiting various buildings and crime scenes. The killer you chase is known only as “Serial Killer X” and after framing you for a murder at the beginning of the game goes around killing other serial killers in the same manner that they had previously used on their victims. During your adventure you will also encounter some people driven mad by a strange force which requires you to defend yourself against these attackers. In order to help you solve the mysteries you’ll have a number of handy detective tools at your disposal and your trusty partner Rosa who stays in contact with you through your phone from headquarters. 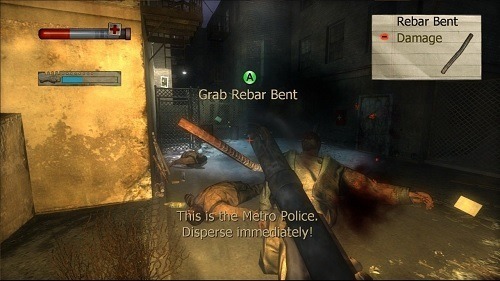 Condemned: Criminal Origins is a first person experience and while it does have shooter elements this is not the focus of gameplay with limited access to guns and ammunition. The game is much more about stealthy dispatching of foes or using improvised melee weapons from the environment rather than running and gunning down everyone you see. These melee weapons also can interact with the environment to pry open doors or smash open locked boxes. Outside of exploration and combat players have a range of crime scene tools that are used to collect evidence on the various crimes and is one of the most realistic forensic gameplay yet and does require some puzzle solving on your part. Blends horror and detective work on PC and Xbox 360. Capture the real killer and clear your name. Minimal weapons means you can’t always rely on direct combat. Use the forensic tools at your disposal to collect evidence. Fun and intriguing storyline with a killer ending.